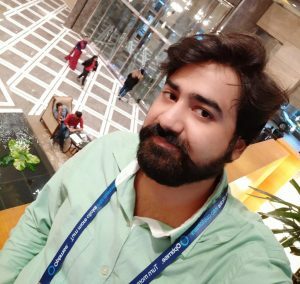 Hello friends, Today I will tell you a method on how to disable Plex News. Users can turn off or disable plex news. I will share one the best way to turn of complete plex news from your Internet browser. 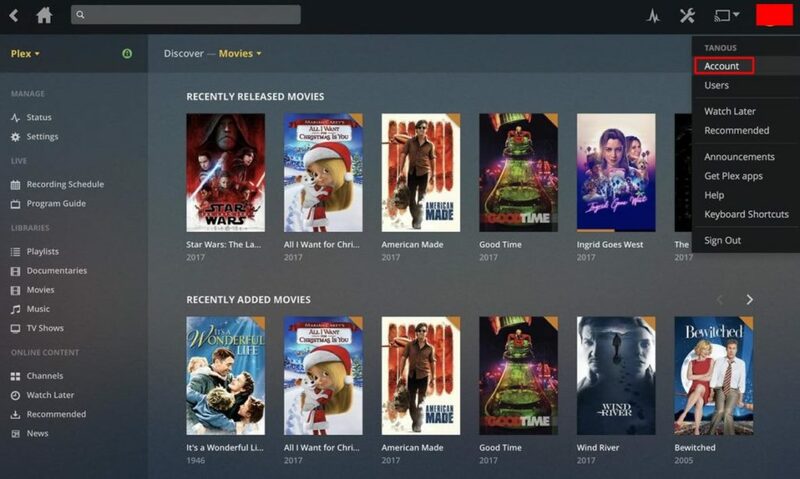 You can turn off or disable Plex News by following the instructions listed in this article. Well, If you have a doubt on Plex News then do disable Plex News. At the beginning of the year 2017, Plex introduced Plex News. It is a free news service which adds the exciting and most famous new clips in the library of Plex users. However, it used to show commercial ads in watching those news clips to generate revenue for them, which was the scariest dream of a Plex user. Also, they intended Plex News as the source of content which is having news clips to attract users to them. But, unfortunately, Plex enables the Plex News facility for all the Plex users without asking to them. Although, it gets fail to provide the disabling feature to disable Plex News. And that is why it became the scariest dream of every Plex user. Thus, most of the users get stuck because of the news clips which was automated. But, today we are going to check out the full step to disable Plex News. Previously there was no option to disable Plex News. But, now we can easily disable Plex News using this fantastic method which I am going to tell you in this article. 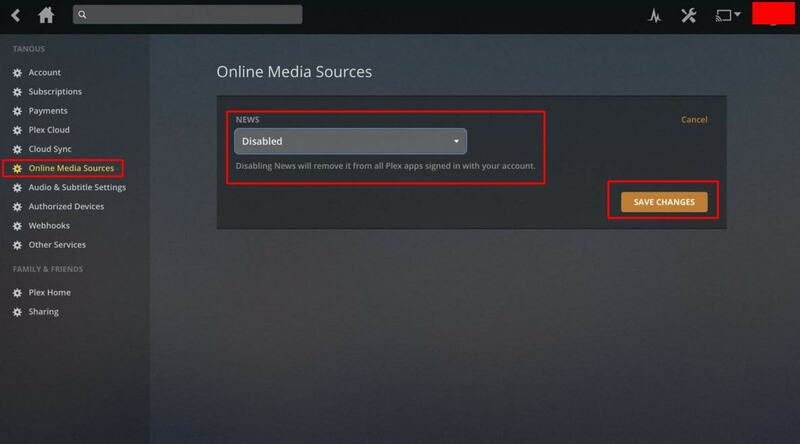 To disable Plex News, you have to follow below-given steps and nothing else. 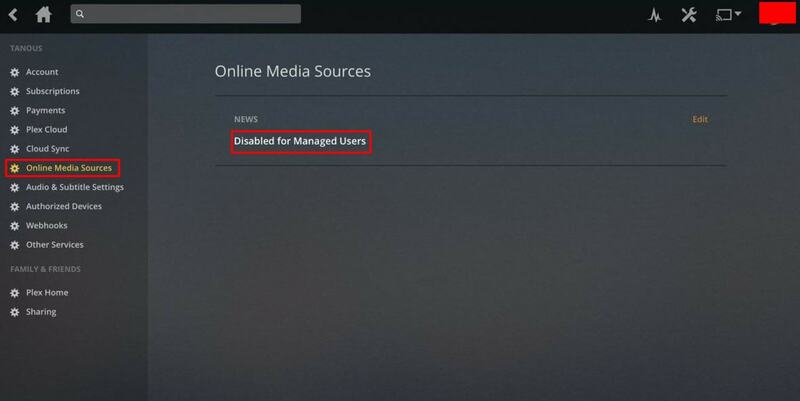 We must say a big thanks to Plex that it has not added the disable option to disable Plex News. However, the problem is only be known by the Plex users that how much stuck they get while feeling irritated by Plex News. Well, without taking your more time lets start the quick guide to disable Plex News. Go to the official website of Plex. Now, from the top-right side click on Account. On the account page, click on Online Media Sources. From the right side click on Disabled for managed users. Now, click on the drop-down menu then, click Disable and Save Changes. By using this method, any Plex user can quickly and disable the Plex News functionality. Also, this method is reversible. So, if you want to get Plex News functionality back, then you can quickly revert it. 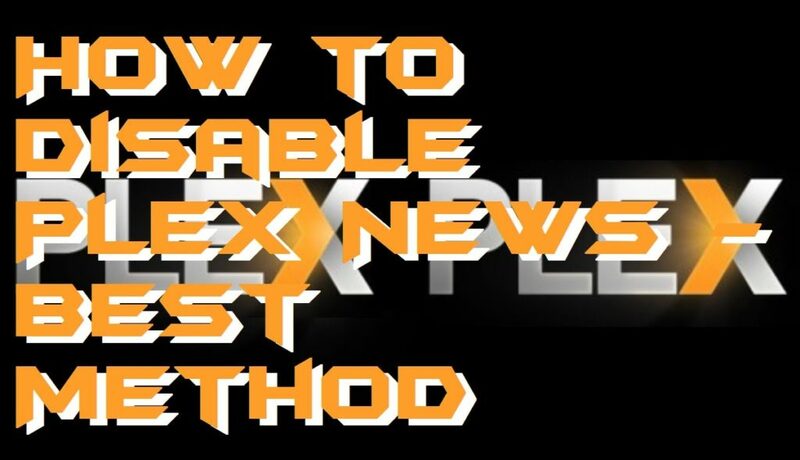 This was the simple and straightforward method to disable Plex News. However, if you are in love with Plex News, then you don’t have to take the worry of anything. Keep using it. But, if you were looking for the technique to disable Plex News, then I hope this article has helped you a lot. If it helped you then help your friends too. Make sure that you share this article with your Plex friends also so that they will even get out of it and can disable Plex News.